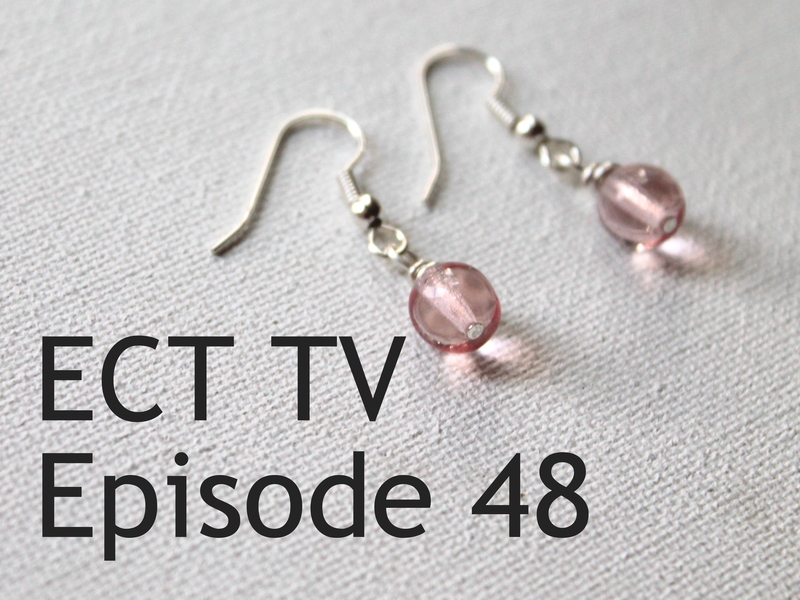 In this episode you’ll learn what tools, materials and findings are important for making earrings. I wrote a big post about getting ready for Earrings Every Day Month that covers what’s in this episode a few days ago. 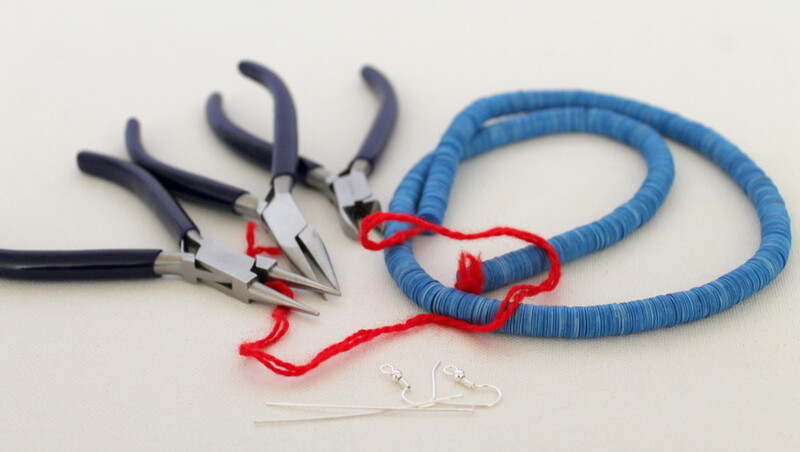 It’s also a great introduction to what you need to make earrings any day. Click here for that post if you prefer reading. *Beads: You need 2 matching beads or more. 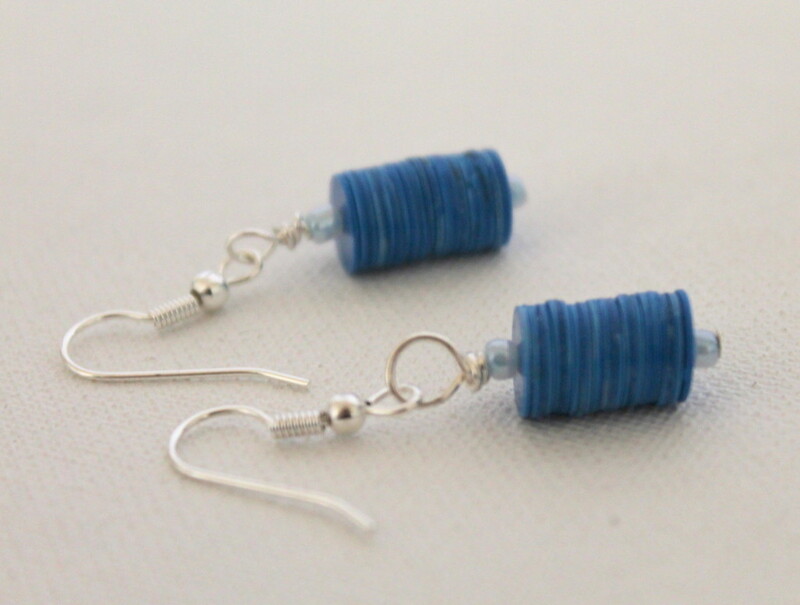 I used the beads I noted above plus 2 seed beads on each earring. 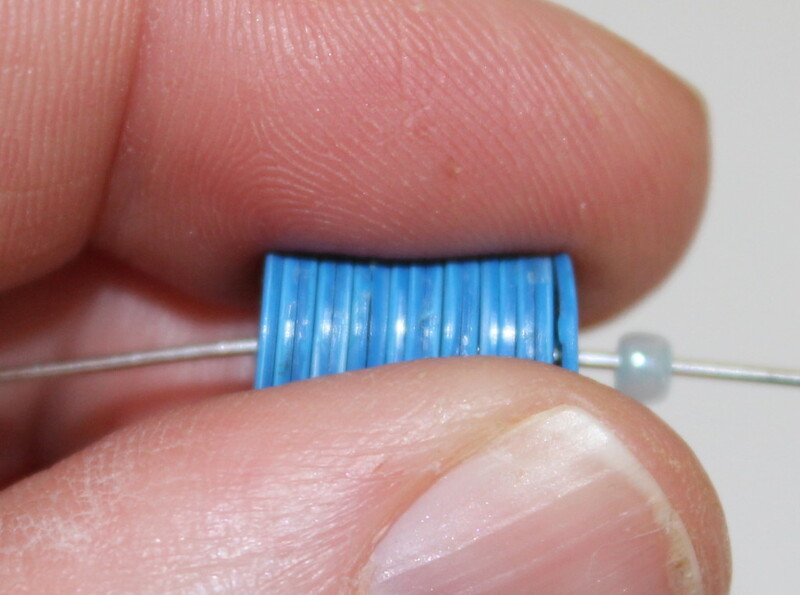 Just make sure that the beads aren’t too heavy and pull on your ears. 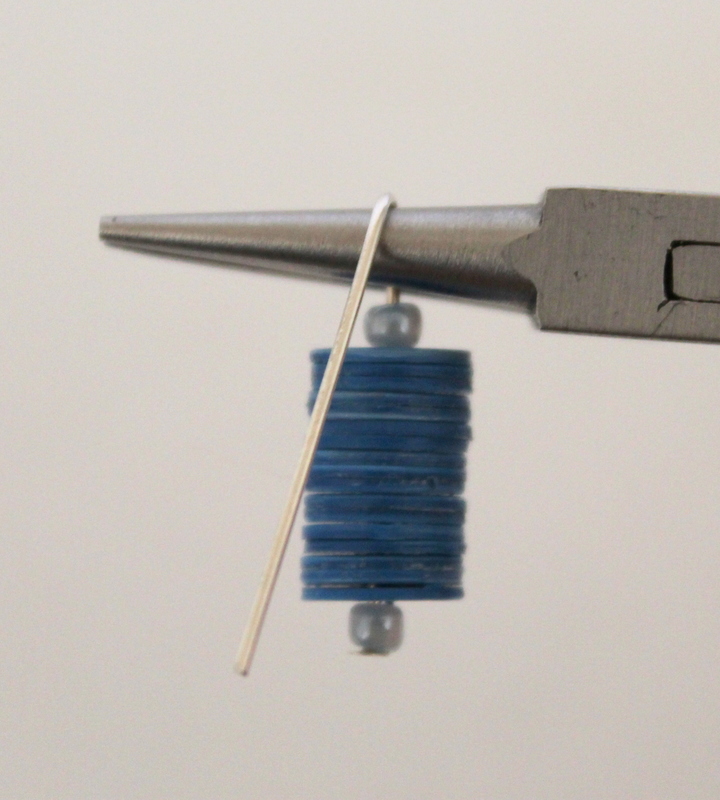 Slide one seed bead onto a headpin and then add several of the disc beads. 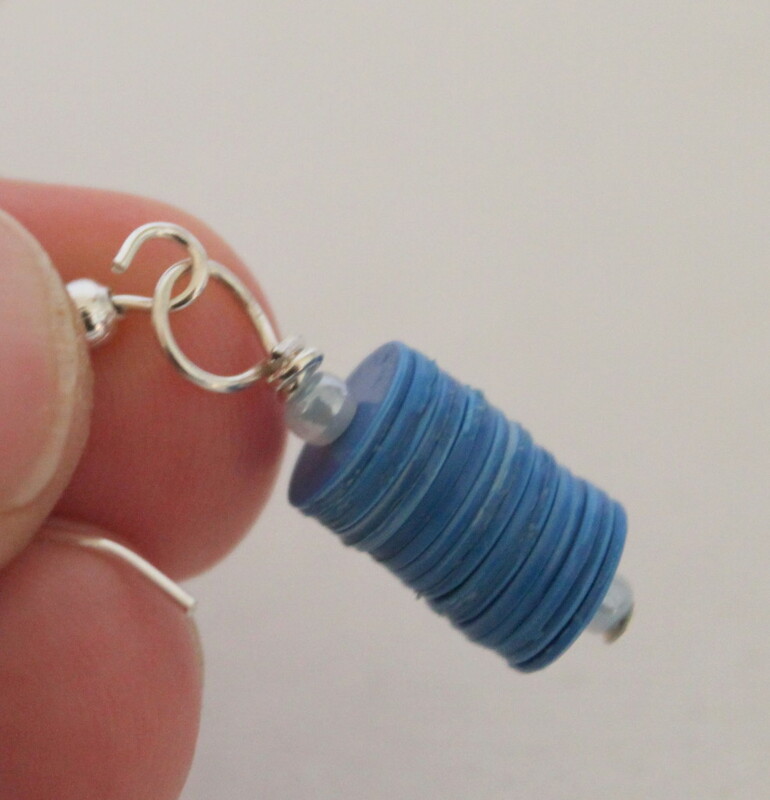 The easiest way to use these disc beads for earrings is to pull a stack of them between your fingers and keep them in a stack. Then slide them onto the head pin. 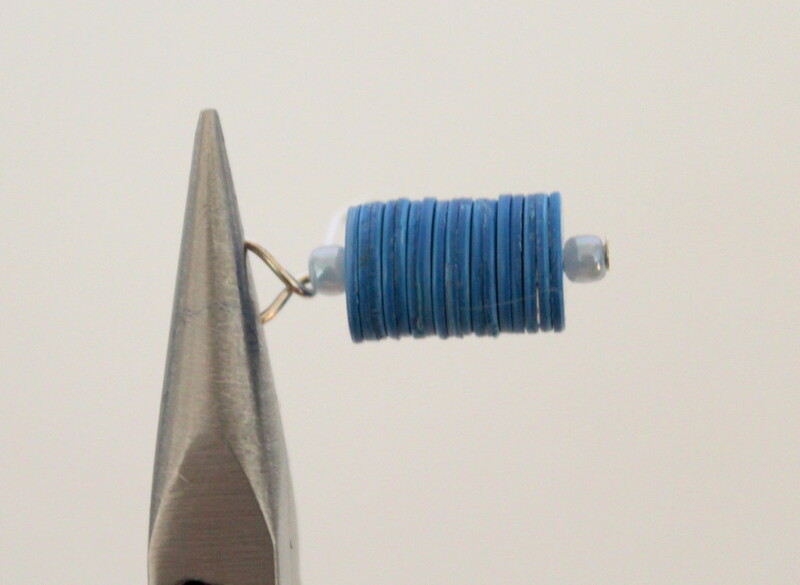 Add a second seed bead on the other side if you’re using seed beads. 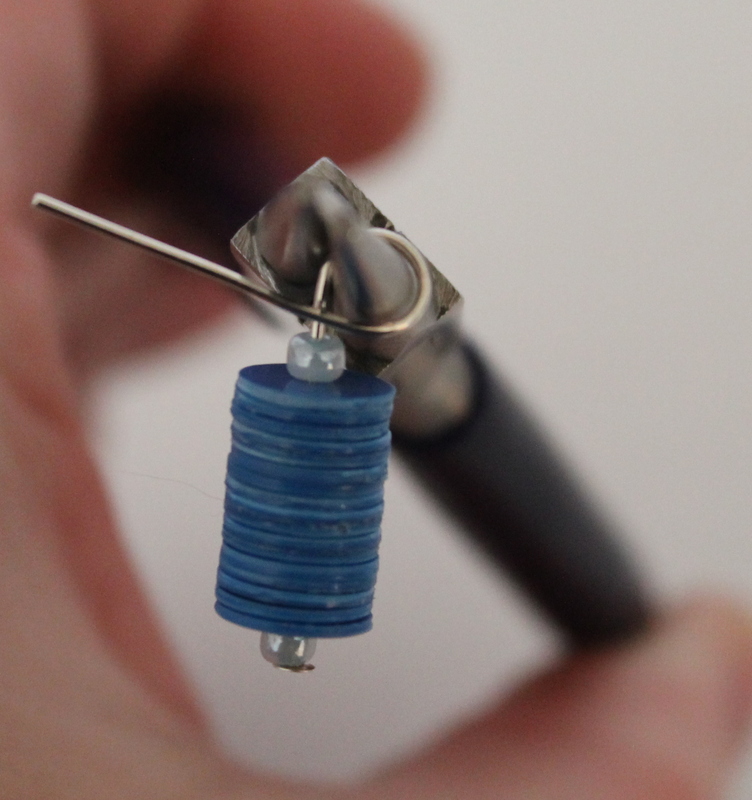 Bend the wire around the barrel of the pliers and in between the pliers and the beads like seen in the photo. 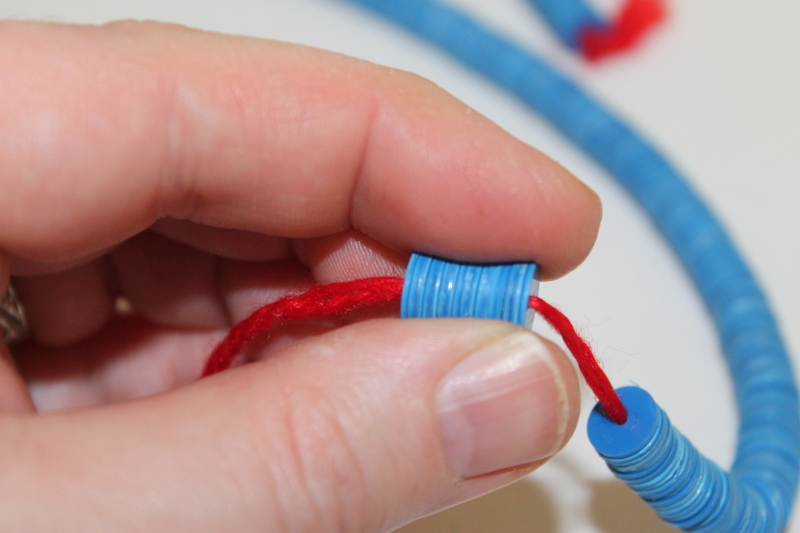 Straighten the loop so it’s centered above the beads. I show you 2 ways to do this in the video. Hold the loop in chain nose pliers. 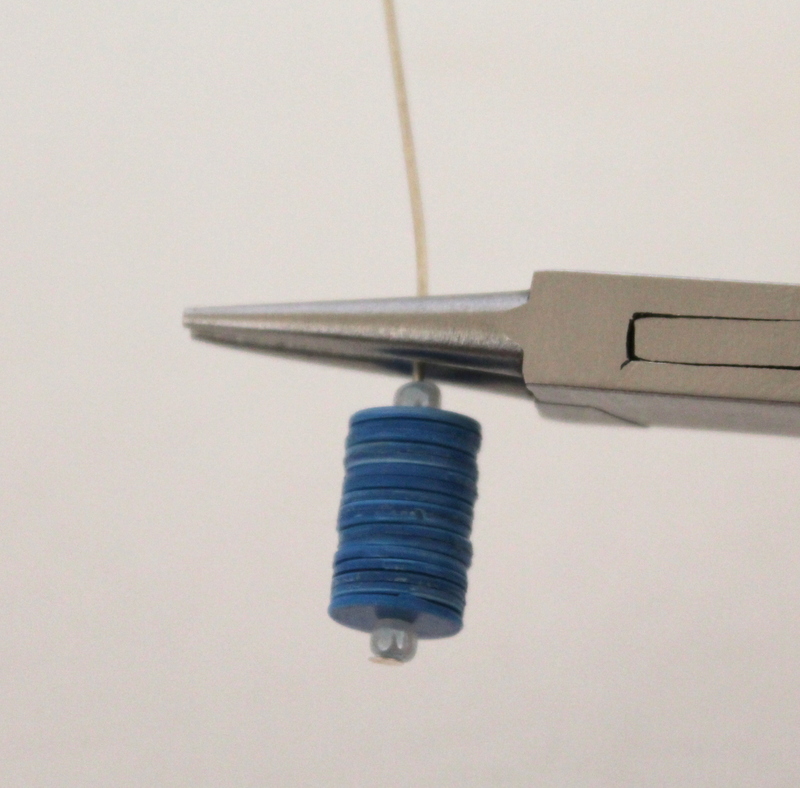 Then continue wrapping the wire using another pair of pliers. Wrap at least a few times. Cut off any excess. Open the earring wire. Make sure to open it while maintaining the circle. Do not pull the circle open out sideways. 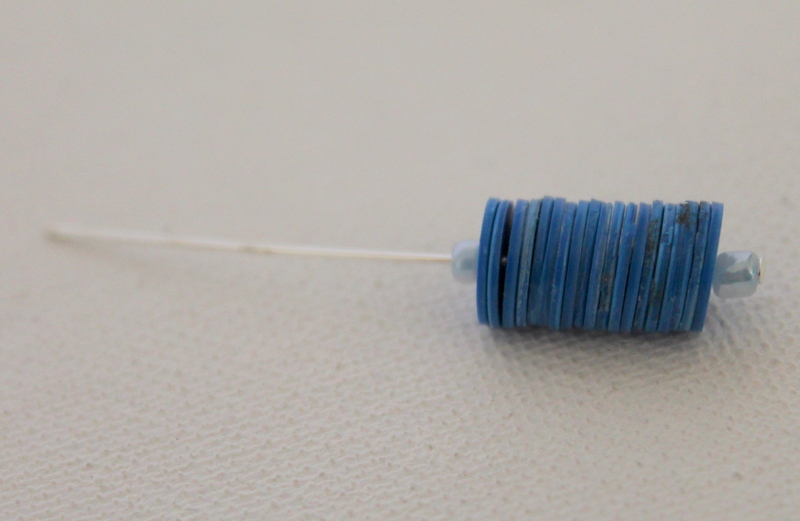 Put the loop from the dangle in the open loop and close the earring wire. 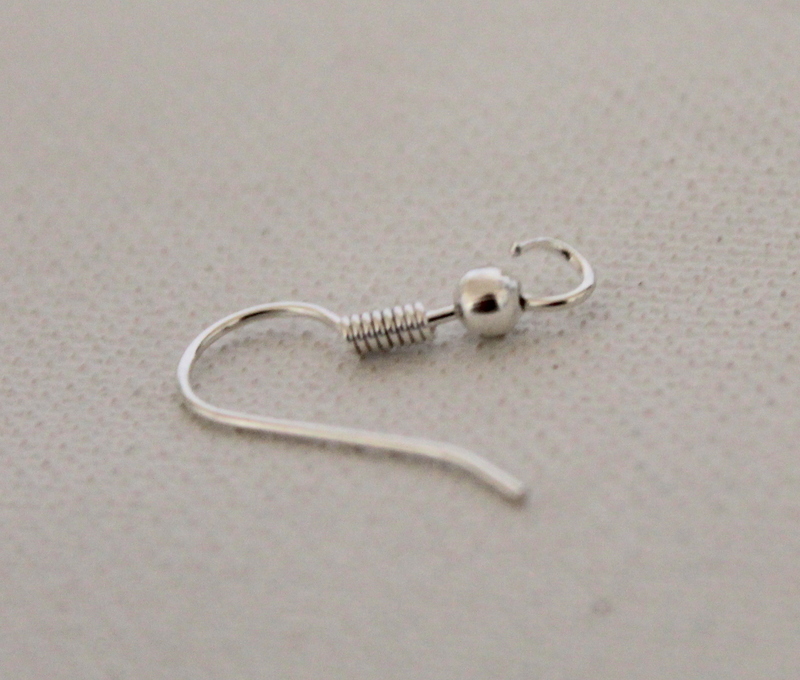 Repeat for the other earring. 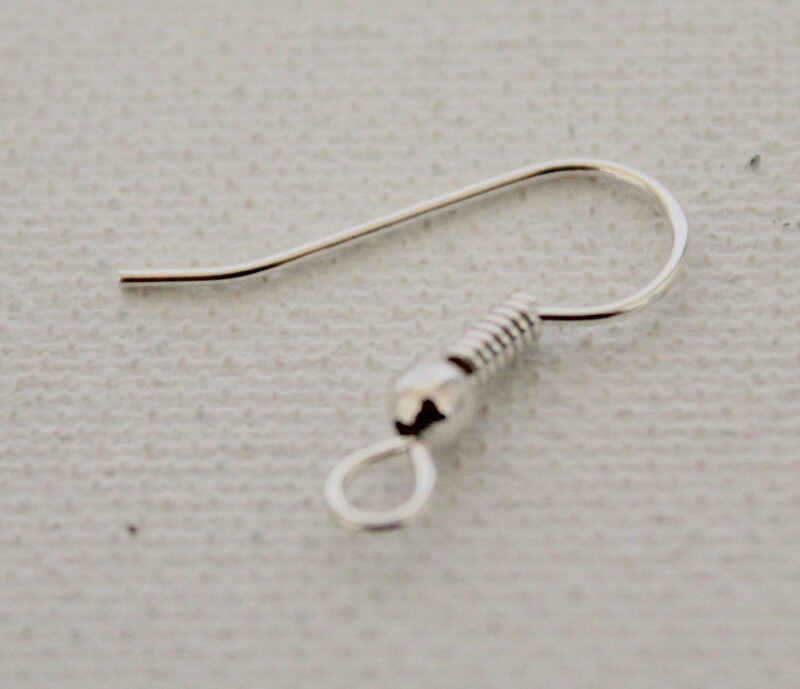 I showed a few samples, but here are a few more earrings that you can use for inspiration now that you have the basic technique! 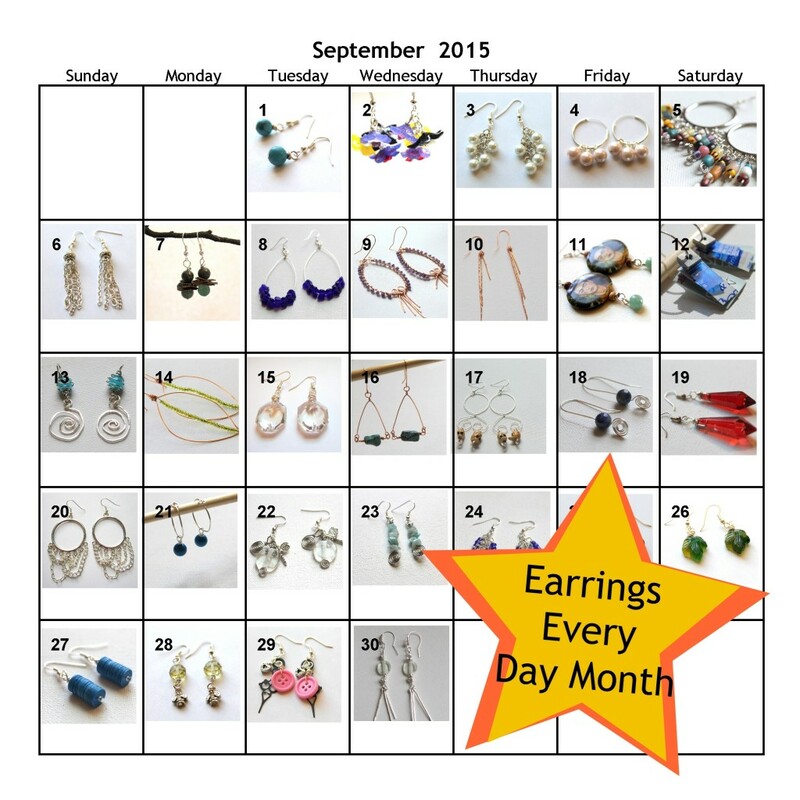 If you see this the day it goes live, you still can get in for Earrings Every Day Month! If you would like daily earrings tutorials or want to learn more about it, click here. 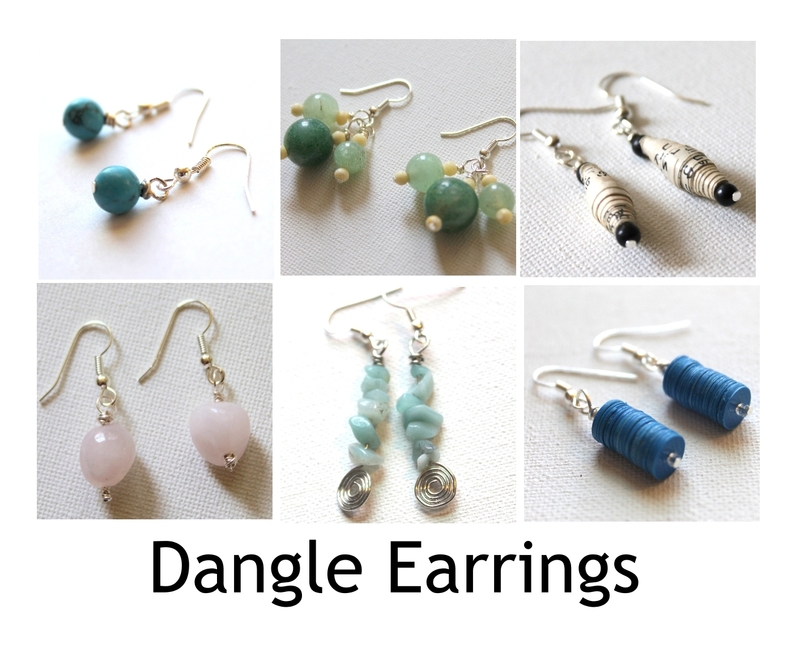 This entry was posted in How to Make Earrings, Jewelry Tutorials and tagged Earrings every day month, ECT TV, EEDM, how to make earrings, how to make jewelry, jewelry diy, jewelry making by Kimberlie. Bookmark the permalink.